1. Slice the bread in half to make two triangles. If you wish, you can leave the slices whole. 2. Finely chop the cilantro. 3. Set up your stations. In a medium bowl, whisk the eggs, milk, salt, black pepper, cilantro, and 2 Tablespoons of asiago together. Lay out the 1/2 cup of asiago cheese on a separate plate. 4. Dip your bread into the egg batter, making sure it is completely covered. If your bread is thicker or sturdy, then you may soak it for 1-2 minutes, but if your slices are thin, just dip them for a few seconds. Then coat each slice with the asiago, making sure that it is completely covered. 5. Melt the butter in a skillet over medium heat. Lay out the bread slices in the skillet (you may need to cook in two batches). Cook, flipping occasionally, until the toast is golden brown on both sides, about 7-8 minutes total. 6. 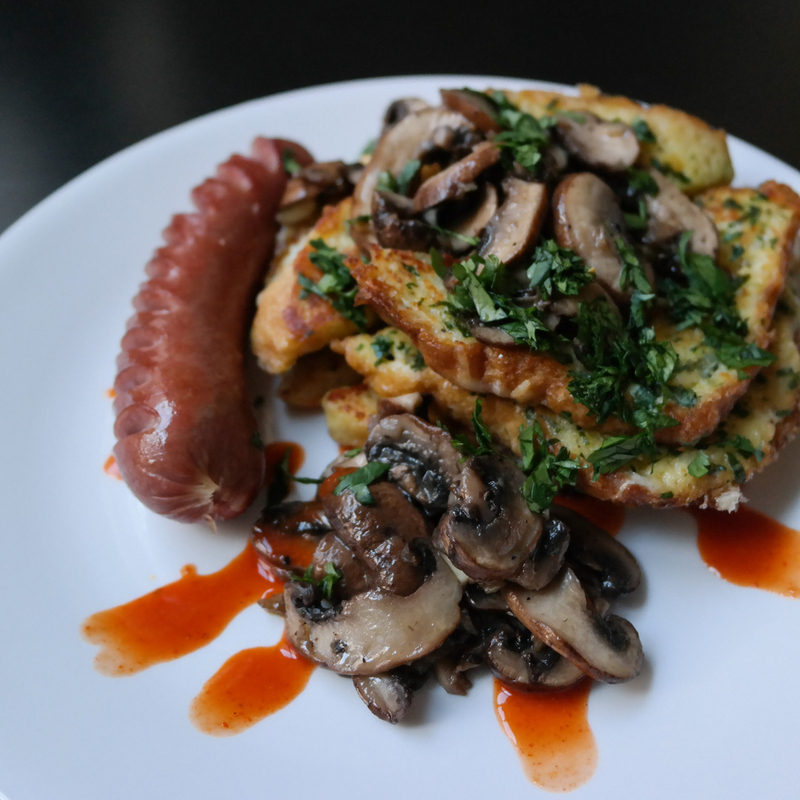 Transfer the french toast to a plate and top with more fresh chopped parsley.